World Cup 2018 Finals Draw Preview: What would a Group of Death look like? 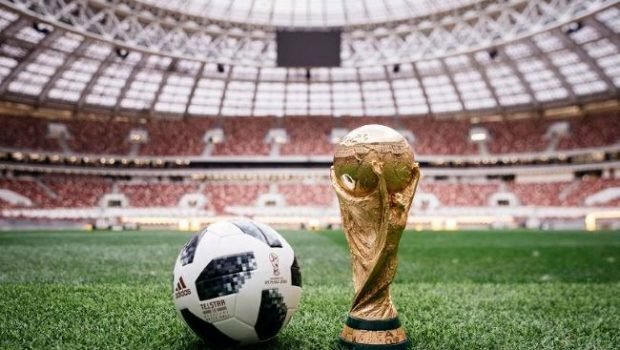 At Moscow’s State Kremlin Palace on Friday, December 1, the groups for the World Cup finals 2018 will be drawn out of four pots. Each group will be made up of four teams, totalling eight groups. Each group cannot contain more than one nation from a confederation bar the European (UEFA) confederation, for which two teams can be in one group. 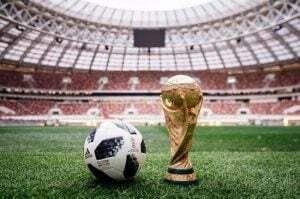 The teams who have made it to the World Cup finals in Russia have been sorted into four pots of eight, with the first pot designated for the hosts and the top seven ranked teams per the FIFA World Ranking system. The other groups are organised with geographical implications in mind. The players wildly considered to be the two best forwards in the world, Lionel Messi and Cristiano Ronaldo, feature with their nations in Pot 1, so will not face each other in the group stages, with Messi at 8/11 to outscore Ronaldo, at evens, in this summer’s tournament. With Pot 1 featuring Russia, Germany, Brazil, Portugal, Argentina, Belgium, Poland, and France, there are still many top-class teams scattered throughout the other three pots, with the makings of a mega group of death very much on the cards. After their showing in the Euros and the progression showed by their top young players at club level and during the qualifiers, France are considered to be one of, if not the best team going to the 2018 World Cup. With France from Pot 1, 2010 World Cup winners Spain from Pot 2, 2017 African Cup of Nations finalists Egypt from Pot 3, and AFC Asian Cup winners Australia from Pot 4, an exciting group of death could be forged in the draw. As for a group of lesser teams group, Russia, Peru, Tunisia, and Panama, who make up what is likely the weakest eligible combination, could all be pulled into Group A. As for a closely contested group, Poland, England, Senegal, and the Korea Republic could make for well-matched sparring partners in the group stage. Despite the likes of the Netherlands, Italy, Cameroon, and even the USA not making it to the tournament, the 2018 World Cup finals draw is set to create some incredible matchups for the group stages. While we’ll all be looking forward to the best teams in the world taking each other on, we’ll also be looking for the potential upsets in store from the likes of Costa Rica, Iceland, Senegal, Saudi Arabia, and others in this, the greatest tournament in the world. Find details of all of the top Irish bookmakers here at BettingTop10, including Boyle Sports, who have Germany and France as the favourites to win the World Cup at 5/1, and Brazil, who are set to bring Neymar with them, at 11/2 to lift the Jules Rimet Trophy. You are here » Betting Sites » Sports News » World Cup » World Cup 2018 Finals Draw Preview: What would a Group of Death look like?